As you can see in my post here we recently has a back to school party. 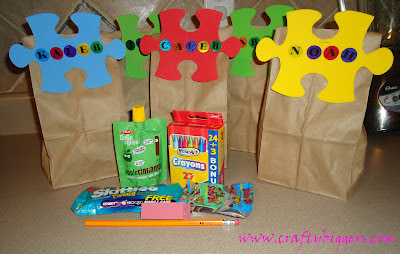 Each of the kids (even those not big enough to school) received one of these treat bags. The bags were fun to put together and really inexpensive. I used brown lunch sacks to stick with the theme. I found the foam puzzle pieces and letter stickers at the dollar spot at Target. I just folded over the top and stapled them to the bags to keep them closed. 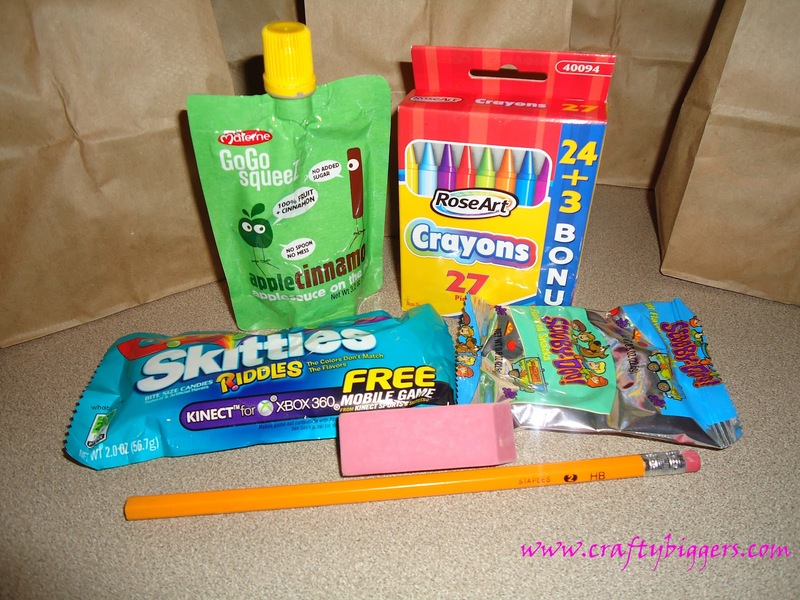 The treat bags were a hit and with all the great back to school deals going on right now they were only about $1 a piece to put together. Come back later this week for more details from the back to school party. Have a great day! Stop by and say hello! Come join my Like My Facebook Page hop! That's a bonus I never thought of. I was going for inexpensive and on hand. lol Thanks for stopping by. How cute is this! Great job!